Notes: Braided and screened premium heavy duty Figure 8 screened cable with 2 gold plated phono plugs to 2 gold plated phono plugs. Notes: Premium black stereo RCA cable with gold plated plugs. Notes: Mono jack to jack lead, 1.2m length. 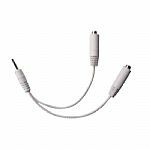 Notes: 3.5 mm Stereo jack plug to 2 x 3.5 mm right angled jack plugs. Loose, 1 m.
Notes: Stereo jack to jack lead, 0.23m length. 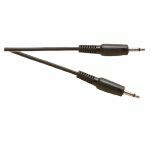 Notes: Standard 3.5mm Stereo jack to jack lead with screened cable. Notes: Extension lead, 1.5m length. 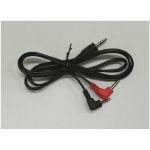 Notes: Standard 3.5 mm stereo jack plug to 3.5 mm stereo jack socket lead. 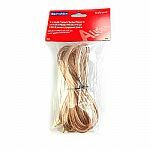 Ideal for extending the length of an excisting lead. For use with headphones an other audio connections to computer etc. 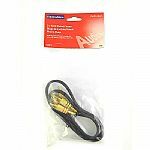 Notes: Premium stereo RCA cable, 2.5m length, with gold plated connecters.